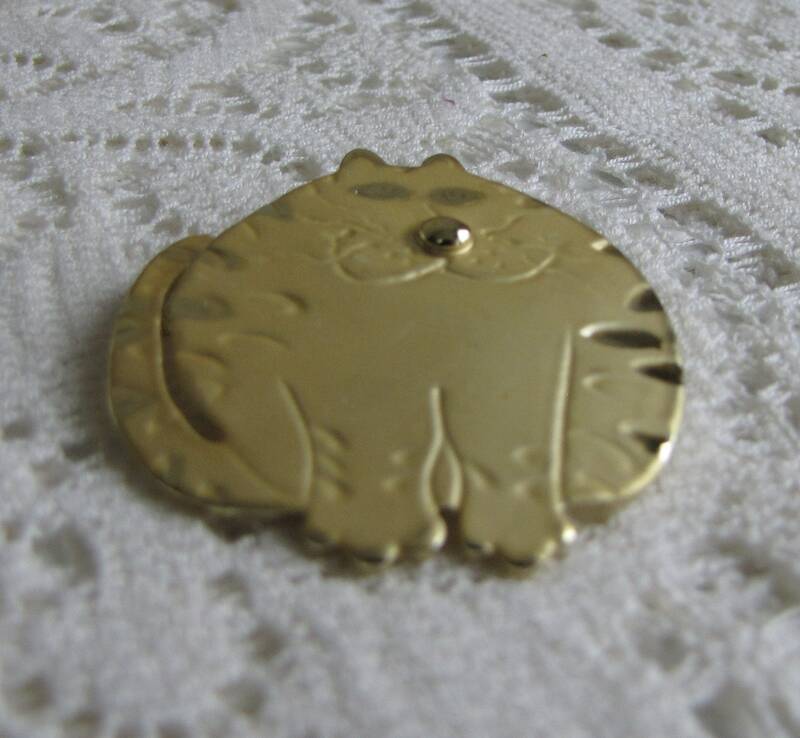 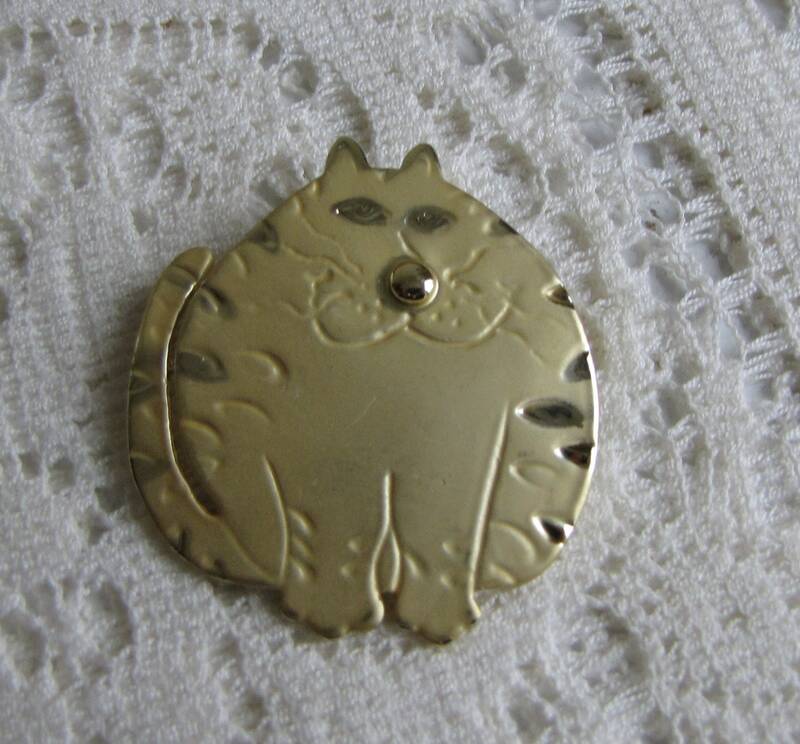 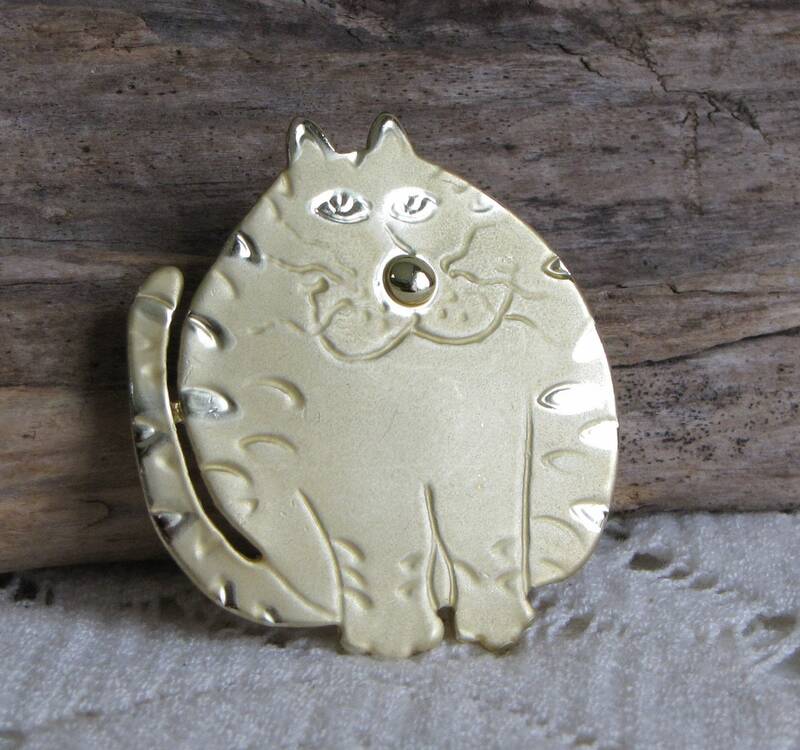 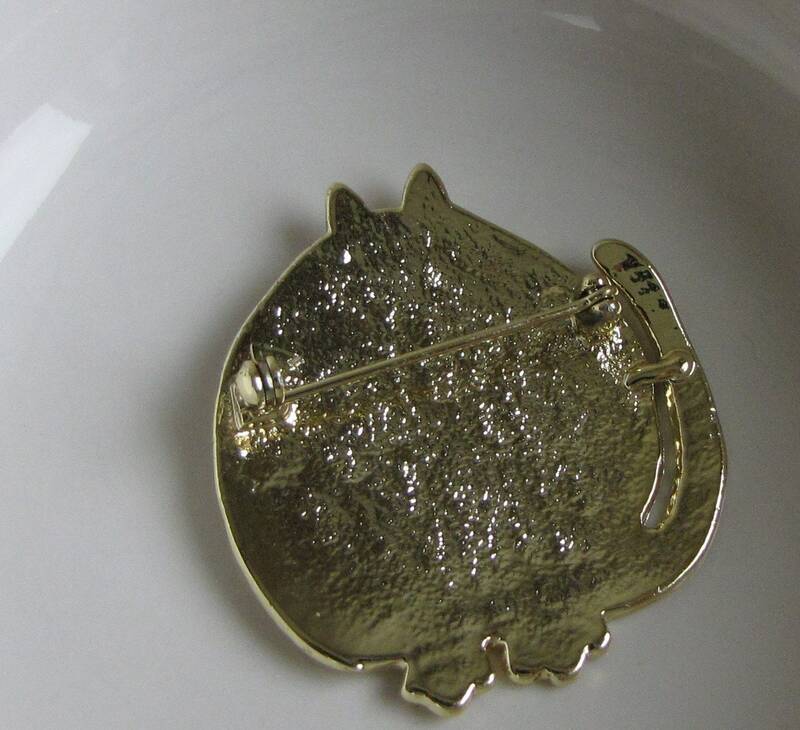 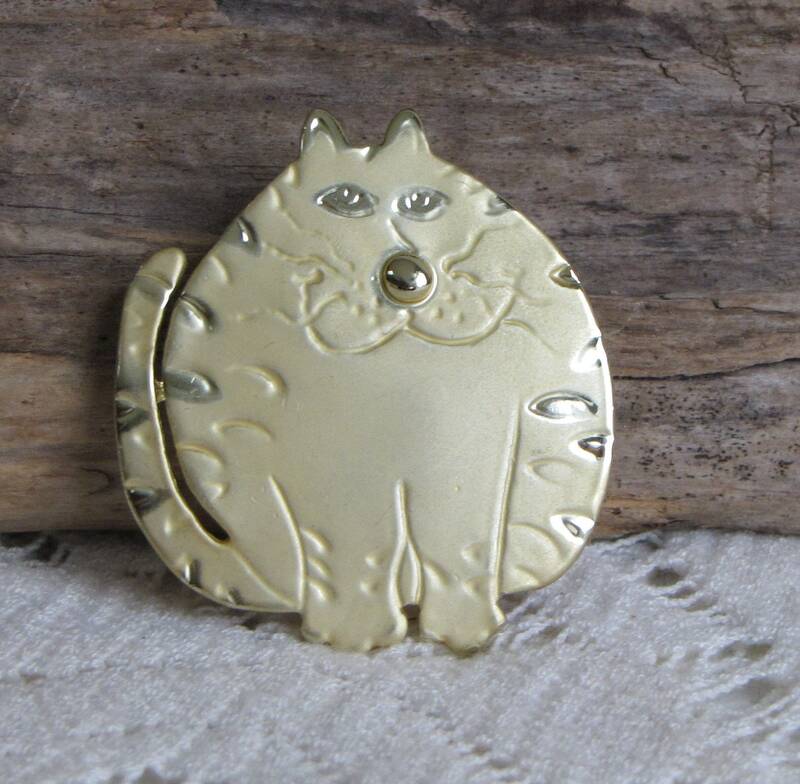 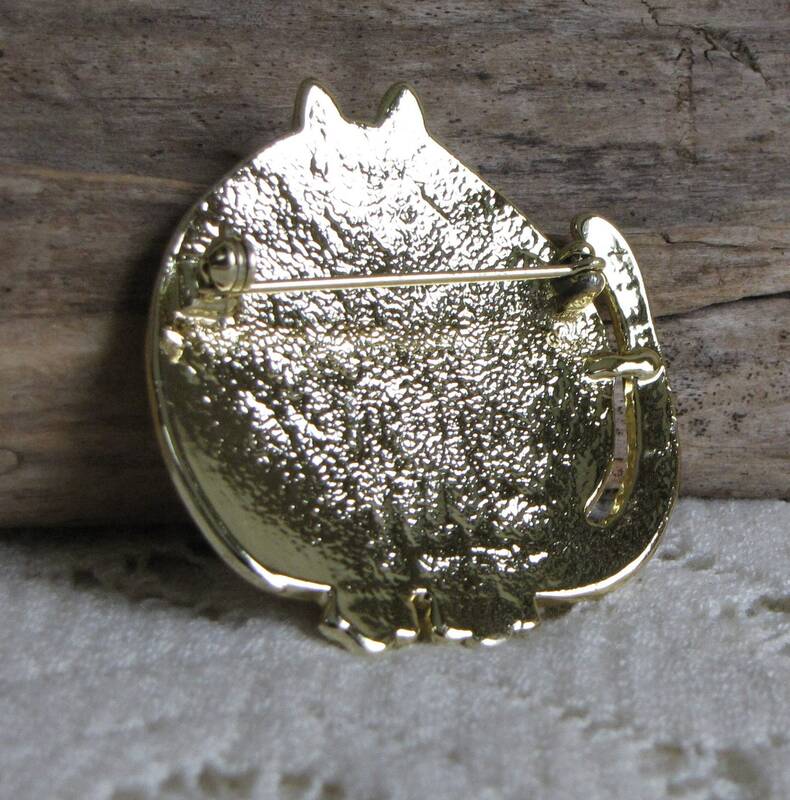 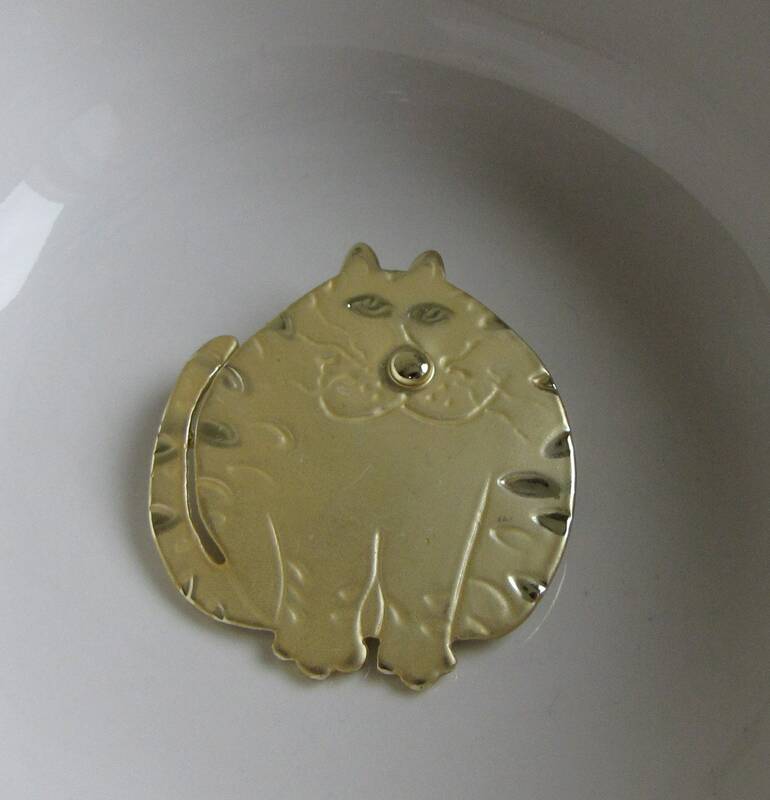 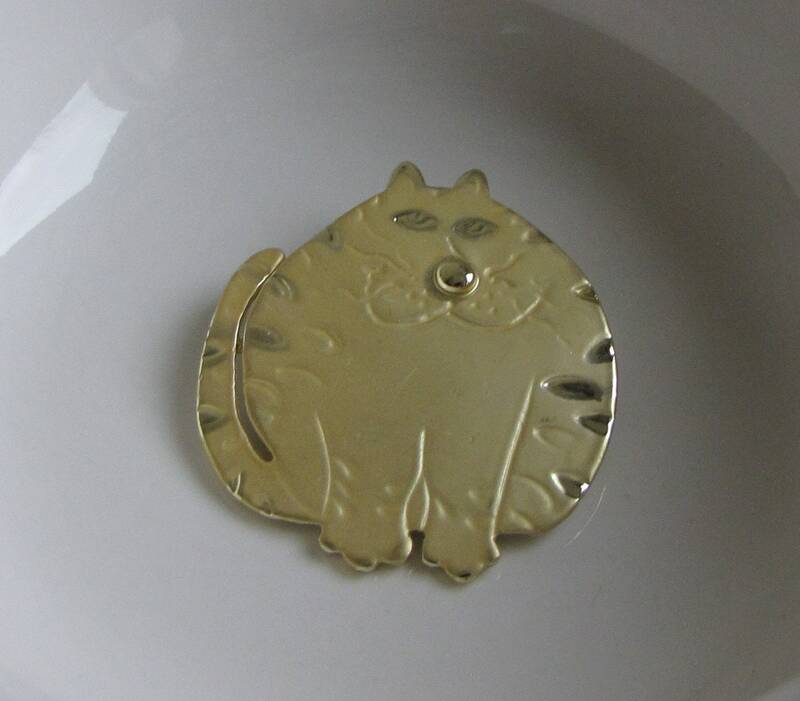 A round, fat cat brooch that is in very good vintage with a good working clasp. 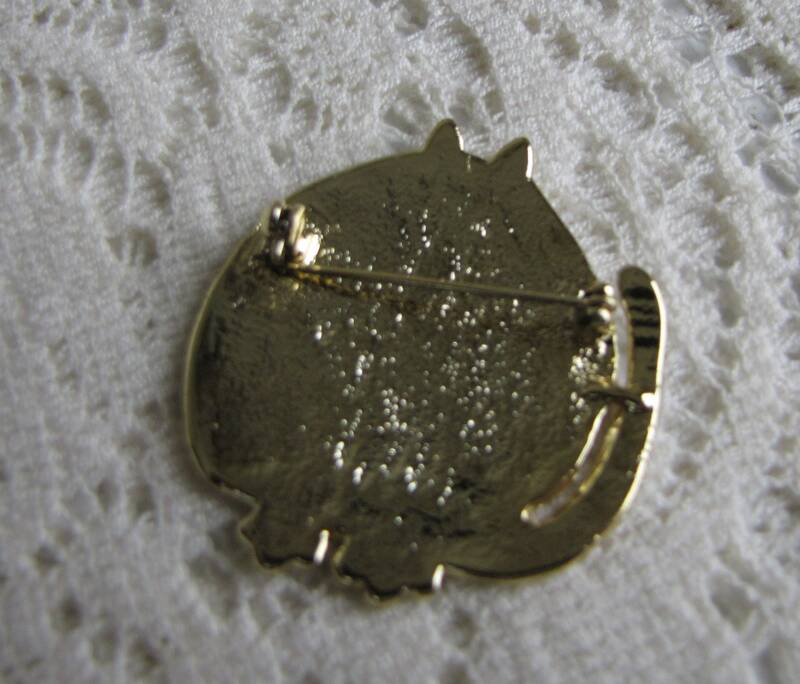 He does have some signs of wear. 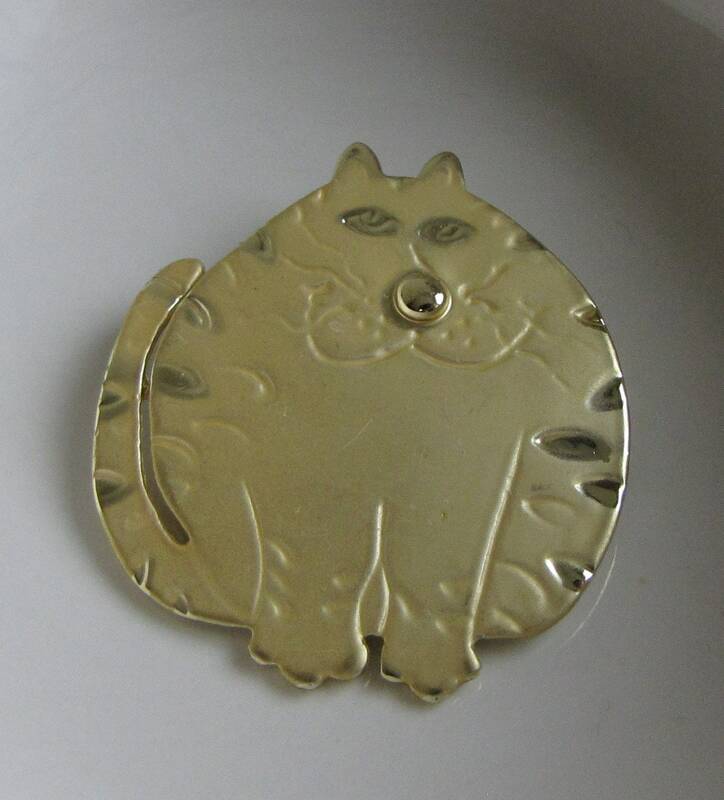 The cat measures 1.75 inches tall and is 1.5 inches across.